ijoy solo mini 80w vape kit includes 80watts solo mini mod and reaper sub ohm tank. different colors available. solo mini 80w mod made of zinc alloy, white, blue, red, black colors avaliable, max output 80watts, support temp control mode and variable wattage mode, support resistance as low as 0.05ohm, support TI, NI200, SS316L wires, the new mod powered by 1pc 18650 battery, with 510 thread. the newest function of solo mini 80w is taste control, the taste control function can keep the original taste of your e juice. ijoy reaper is one better sub ohm tank, made of stainless steel and pyrex glass, can hold 3.8ml e juice, with top refill design, no worry leaking. 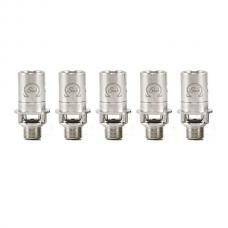 the tank will come with 0.5ohm SS316L coil and 0.6ohm NiCr coil, the reaper tank support RBA too, sell separately.